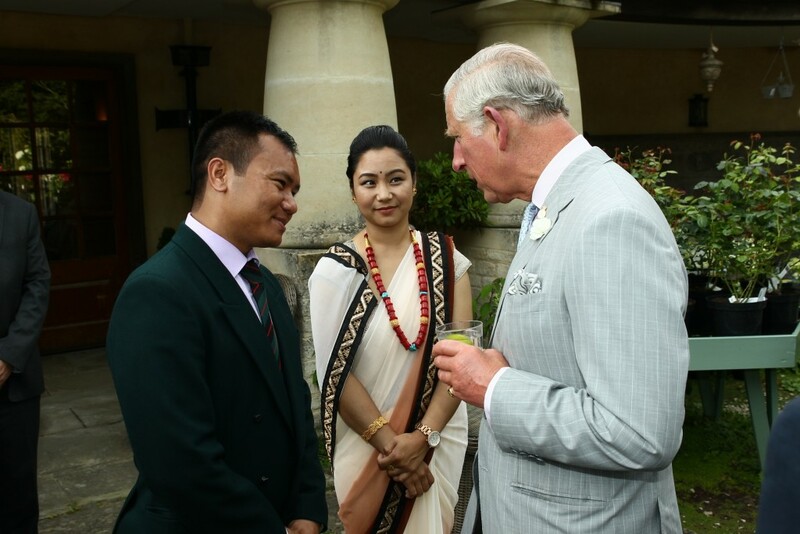 On Wednesday 27 July His Royal Highness The Prince of Wales, Colonel-in-Chief of the Royal Gurkha Rifles (RGR), invited a select few members of the Regiment with their wives to his country home, Highgrove, in Gloucestershire. 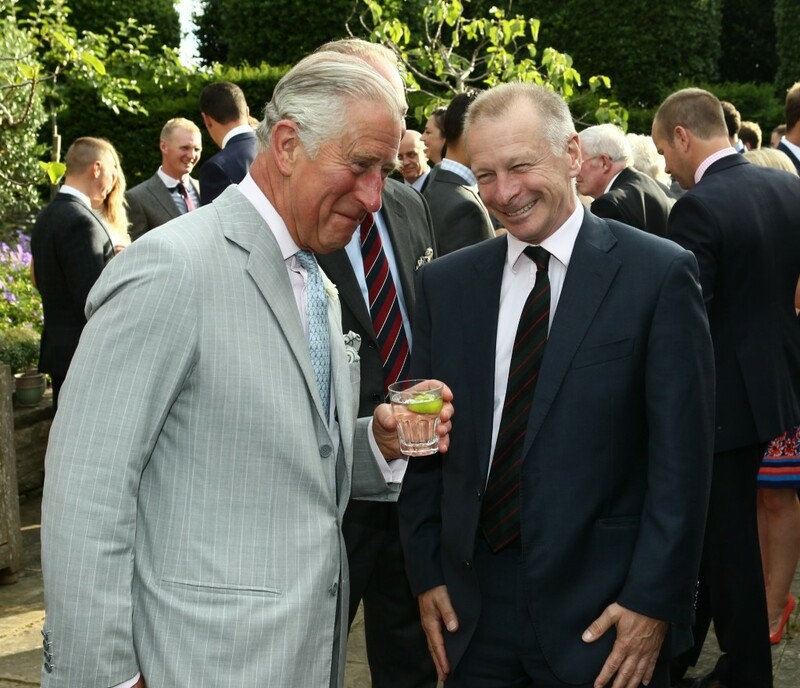 Prior to a Reception the group were given a special guided tour of the magnificent Highgrove Gardens which have been inspired by the Prince’s love for gardening and include many pieces from his travels around the world. Colonel James Robinson, Deputy Colonel RGR, headed up the team and gave a short update on the Regiment. He was accompanied by Major Gajendra Angdembe, the new Gurkha Major of 2RGR who was able to update His Royal Highness on2RGR’s deployment to Afghanistan. Captain Jon Armstrong spoke about his experiences of Exercise Arctic Gurkha last year and Hon Lt (QGO) Tulbahadur Gurung described the on-going work of the Gurkha Welfare Advice Centre in Aldershot dealing with Gurkha settlement. His Royal Highness was keen to hear from retired Riflemen Vinod Budhathoki on how he was coping and the support he was receiving having lost both legs after an IED incident whilst he was on HERRICK 12. Sgt Durba Roka, currently on leave in the UK, represented 1RGR and had recently come from meeting His Royal Highness The Sultan of Brunei the week previously at The Sultan’s 70th birthday celebrations. 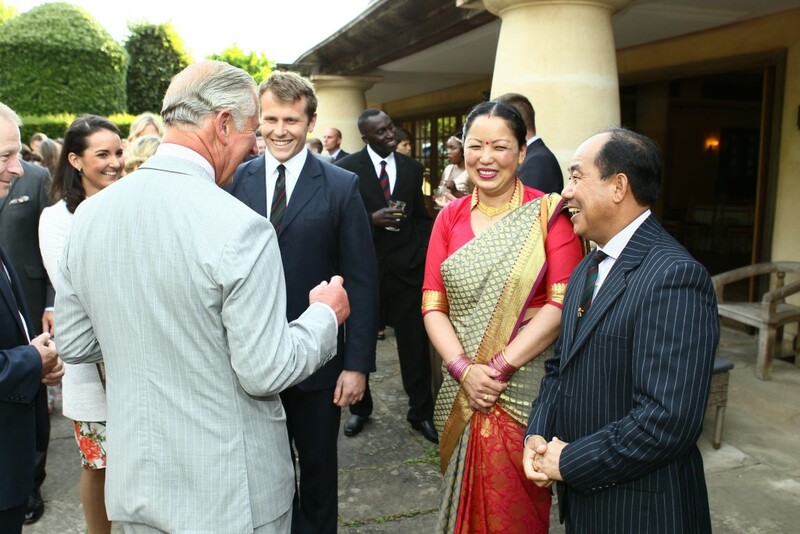 Other regiments that His Royal Highness is responsible for were also present on a beautiful sunny evening. The event concluded with a photograph with the senior officers present.